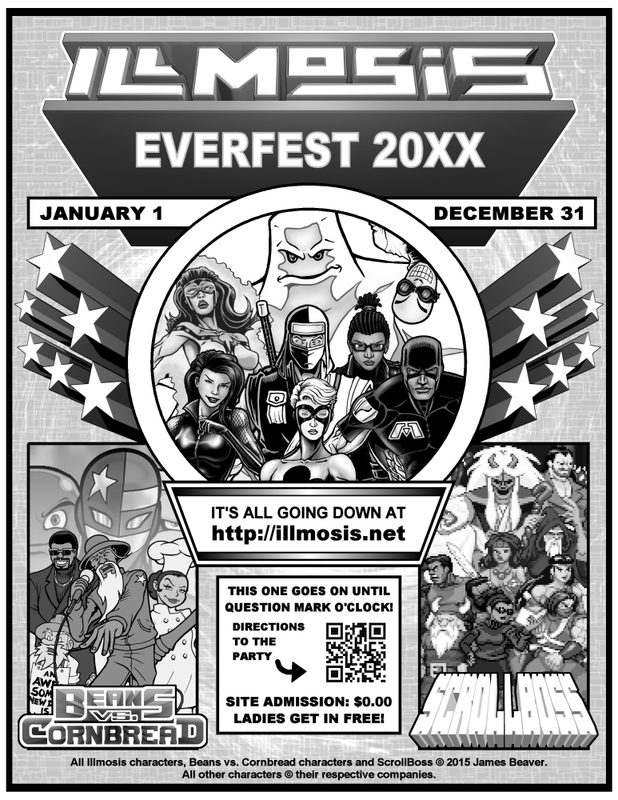 This isn't just a rush job, probably the last general Illmosis site flyer I'll make for a while. 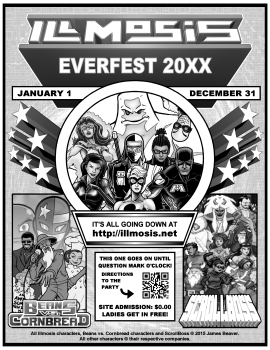 Except for last year, I always have copies left over, so I'm getting around that by making this 20XX flyer. It's basically the 2014 flyer with a few minor changes, but the ScrollBoss section has a lot of recent sprites, including a mysterious new character in the front. She'll debut in the ScrollBoss 15th anniversary update on July 19th. The QR code was made with this free plug-in.